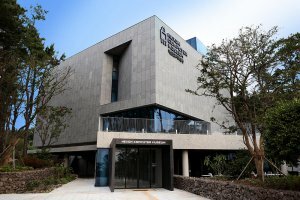 Established in 2014, Nexon Computer Museum is the first Asian permanent museum registered as a member of International Council of Museums (ICOM), which is dedicated to history of computer and game. It imagines the future by viewing “computer” as the idea that changed the life of humanity in the most progressive and innovative way along with “game” that contributed to the development of computer. With about 7,000 artifacts collected and 1,800 of them being displayed, it contributes in preserving and promoting values of historic computers and video games. Nexon Computer Museum offers several regular/irregular education programs for visitors. HAT(Humanities, Art & design and creative Technology) is one of the representatives that help children to creatively translate, understand and express their idea and perspectives towards various objects, incidents and social events. In 2014, Nexon Computer Museum successfully restored the original version of NEXON’s first online game, The Kingdom of the Winds, which is recorded in the Guinness Book of World Records as the longest running commercial graphic MMORPG. <The Kingdom of the Winds 1996> restoration project impressed the importance of digital contents archiving via permanent display and online promotion.